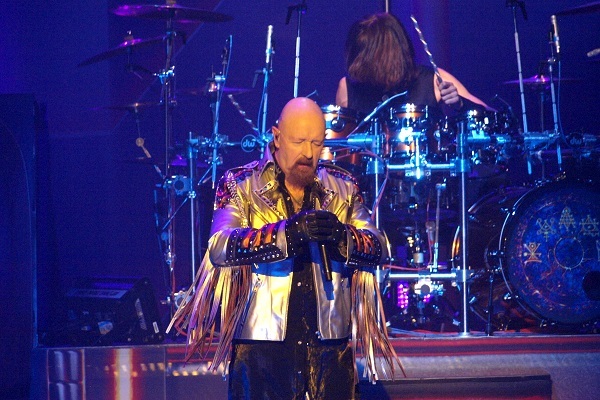 The metal men of Judas Priest are something of road warriors. Rob Halford and company spent much of this year on the road, and they’ve already booked a 32-date North American headlining tour for 2019. Judas Priest will be touring to promote their latest studio album, “Firepower,” which dropped in March. Classic metaller Uriah Heap will open on the run. View the full list of tour dates below. For Judas Priest’s 2018 tour dates, producer Andy Sneap filled in for guitarist Glenn Tipton, who had to take a break from touring due to Parkinson’s Disease. In June, In June, Tipton created the Glenn Tipton’s Parkinson’s Foundation to support research into the disease. Judas Priest also offered “No Surrender” T-shirts at their shows with funds raised from the sales going to the foundation.